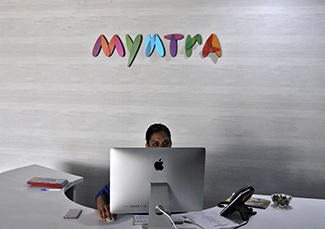 Flipkart-owned lifestyle e-commerce venture Myntra Designs Pvt. Ltd is in advanced discussions to buy a majority stake in fitness and sportswear brand HRX, launched by actor Hrithik Roshan, as it accelerates its efforts to increase the contribution of private labels to its sales. A Myntra spokesperson told TechCircle the company is working on the final modalities of the deal, which will be completed in a couple of weeks’ time. The spokesperson declined to divulge any financial details. The development was first reported by the Mint. The report cited Rajesh Narkar, vice president, Myntra Fashion Brands, as saying that sales from HRX will triple to Rs 300 crore this financial year. While the deal makes perfect sense for Myntra as it adds another reasonably recognised sportswear and lifestyle brand to its expanding list of private labels, it offers HRX an increased pan-India presence with enhanced marketing tools and initiatives on both Myntra and Flipkart. Exceed Entertainment, the parent company of HRX, is also planning to open offline stores across the country and plans to expand its presence to West Asia this year, the report said. The focus on private labels is understandable since the company makes higher margin on in-house brands compared to other brands. Also, the level of discounts offered on other brands is typically similar across e-commerce platforms, which means there is only so much a company can do to improve profitability from these brands. However, its efforts to boost the contribution of private labels to its overall business seem to be proving harder than it initially thought. Private labels accounted for about 20% of the company’s gross sales in 2015, the company said in January. Myntra has only 11 private labels. In total, it sells 2,000 brands on its mobile app. This is up from about 1,200 a year ago. The number of private labels added during 2015 couldn’t be immediately ascertained. Its counts Roadster, All About You, HRX, Wrong, Anouk and Ether among its private labels. The company launched All About You in partnership with actor Deepika Padukone, HRX with Roshan and Wrong with cricketer Virat Kohli. The celebrities and the company co-own these brands. Last year also saw Roadster becoming the highest-performing brand for Myntra. Roadster aims to clock Rs 400 crore in 2015-16 and become a $100-million, or Rs 650-crore, brand by the end of 2016, the company had said. Puma, Nike, Vero Moda and UCB were the other top-selling brands in 2015. However, not all of its private labels are doing well. In 2012, it bought Exclusively.in Inc., the company behind the private label brand Shersingh.com. Sher Singh was launched by cricketer Zaheer Khan. It specialised in sports-inspired lifestyle apparel for men and women. However, today the brand has a very nominal presence on Myntra. Meanwhile, the news of Myntra wanting to set up brick-and-mortar stores across the country to enhance its private label brands has emerged once again. According to a report in The Times of India, the company will open its first store in the next three months in Bengaluru or New Delhi. News on its offline plans have been doing the rounds intermittently over the past few years. However, the company is yet to launch any offline stores.